0 Comments Published by KL Ocs Kid on Thursday, May 27, 2010 at 11:14 PM. 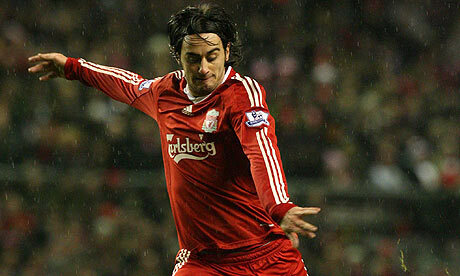 Alberto Aquilani has insisted he wants to stay at Liverpool and says he feels like he owes the club more after an injury-plagued first season. The 25-year-old arrived at Anfield last summer in a £20m deal but was not able to make his debut until late October because of an ankle injury he suffered while still at Roma. Aquilani made just 13 starts for Liverpool last season but finally settled into the starting XI for the last four matches of the campaign. Despite speculation linking him to a swift return to Italy with Juventus, Aquilani is determined to stay and prove his worth to the manager Rafael Benítez. "I am staying at Liverpool to make up for many things," he said. "I have finally recovered from my ankle injury. Juve have approached me in the past and now I'm reading of their interest, but I really don't know anything about it," he told the Italian newspaper Leggo.